As stated on the home page, one purpose for this website is to assist fellow authors with the production of their books. Many are new, or inexperienced, self-publishing authors who have little or no knowledge or experience of computing systems. Considering most will, by default, rely upon such systems for the publishing of their books, it will help to have some understanding of how these operate. This is not intended to be a comprehensive study but simply a basic introduction to the topic. What are URLs used for? Note: The codes in parenthesis are how these various aspects are shown within computer software programming systems. Protocol: ‘A computer language allowing computers that are connected to each other to communicate.’ (Cambridge Dictionary). N.B. Computers do not have to be physically connected. The protocol in the above example is: https. Path name of file on machine. For example, a previous post dealt with the topic of ‘SEO – Keywords’: https://trrobinsonpublications.com/2017/04/04/seo-keywords/. In this case the file name is: 2017/04/04/seo-keywords. Port number (system access point) to which to connect. The most obvious example is when a user adds an e-mail account to a system. The most popular accounts such as Yahoo, will have the port number entered automatically but lesser known accounts will require the user to enter them. Identifies specific location of content within a file. Note: As mentioned, host name and file name are usually required whereas port and reference are optional. It should also be noted, even where included, the port and reference are not readily visible to the average user. Who can create a URL? Anyone with some computer programming knowledge, experience and skill. N.B. The creator normally selects programming that displays the ‘human readable’ form rather than the software text characters which include such things as ‘<’, ‘%’, ‘html’, ‘href’, etc. In other words, the usual display, in the address bar above a page, is in a recognisable, readable, format e.g. 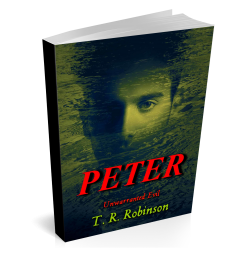 https://trrobinsonpublications.com rather than a string of meaningless characters. URLs may be created utilising local (international) language and alphabets. However, to enable these to be read across the whole www, internet software converts them into standardised, anglicised, format. For example, many would be unable to understand Chinese, Japanese or Russian characters to name but a few. Without URLs locating information on the internet or within computing systems would be difficult, or at least long winded. For most the structure of a URL is really unimportant. But it helps to have some comprehension of how they are made up. Again for most, how to create a URL is not an issue. Nevertheless, anyone with any sort of programming knowledge or experience is able to create them without undue difficulty. Worth knowing for those who have self-hosted websites. A post for my hubbie, who is my techy ‘expert’!